Once the media hysteria died after the Parkland shooting and people had time to investigate what actually happened, people noticed that Parkland officials made quite a few mistakes. Investigators noticed that Deputy Scot Peterson didn’t rush into the building to save students, instead opting to establish a perimeter from the safety of his car. If I was the parent of one of the 14 students who lost their lives that day, I’d demand to know why these common sense precautions weren’t taken prior to the shooting. In one sense, in fact, it’s irrelevant whether a threat assessment was conducted. It’s irrelevant whether these recommendations were made, too. These precautions have been implemented across the nation. Why didn’t the school board insist that these precautions be made? 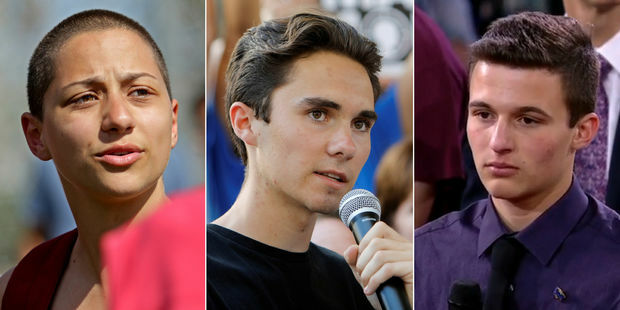 Cameron Kasky, David Hogg and Emma Gonzalez might be world-class activists but their credibility is definitely shrinking. 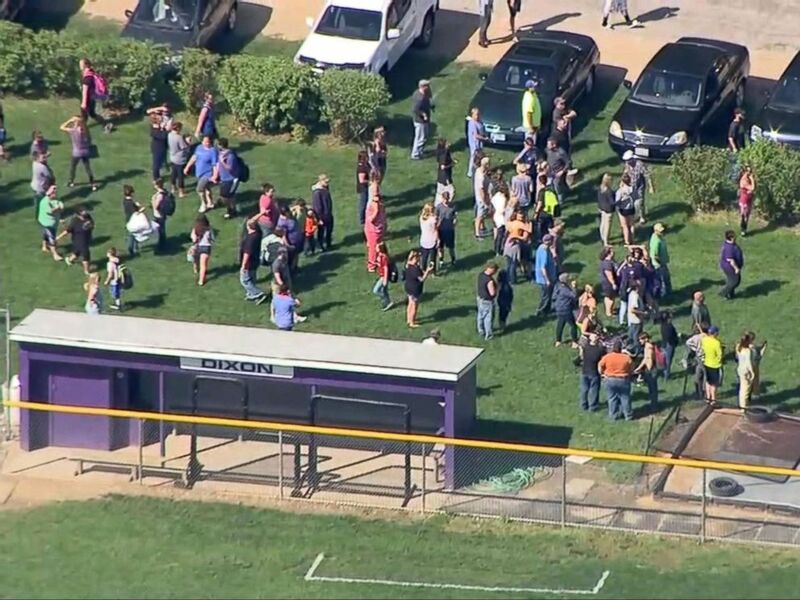 No matter how emphatically they say it, the NRA doesn’t have blood on their hands. The Broward County Sheriff’s Office, aka Broward’s Cowards, have blood on their hands. Ditto with the School Board. Ditto with the people who repeatedly questioned Nikolas Cruz but didn’t institutionalize him. With all of this information, it’s difficult to picture how the NRA is even slightly to blame for the Parkland Massacre. Taking Parkland students seriously? I can’t. It’s difficult taking Parkland students David Hogg, Emma Gonzalez and Cameron Kasky seriously, especially since their targeting seems more guided by ideology than logic. Their targets have been Marco Rubio, who definitely isn’t part of the problem, and the NRA. They’d have a hint of credibility if they’d taken the FBI and the Broward County’s Sheriff to task for their failings. Since that didn’t happen, there’s nothing that they’ve said that suggests that they’re serious policymakers. By not engaging the shooter, Deputy Peterson didn’t do his job. The Parkland student activists haven’t criticized him or his wimpy sheriff boss. Why haven’t they taken aim at Dep. Peterson and Sheriff Israel? Is it because Sheriff is helping them criticize the NRA? If that’s the case, then these students aren’t principled problem solvers. They’re displaying the traits that do-nothing career politicians show. Why haven’t these frauds gone after Sheriff Israel like this? “Your stories have never been balanced,” Sheriff Israel accused the reporter. “But when the report is in, we’ll have that conversation,” Sheriff Israel said. “Are you ever going to take responsibility for what happened at Stoneman Douglas?” Mr. Norman asked. “When the report’s in, we’ll have that conversation, Bob,” the sheriff repeated. Gonzalez, Hogg and Kasky haven’t gone after these incompetents even though they stood by while their classmates died. It’s impossible for me to take these students seriously because they haven’t proven that they’re interested in solving the problem. Thus far, they’re more interested in being media stars. 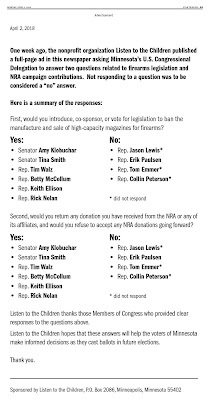 A liberal front group specializing in gun control bought a full page ad in the Star Tribune. Then the Strib published this article to make sure the organization got extra mileage for their ad buy. 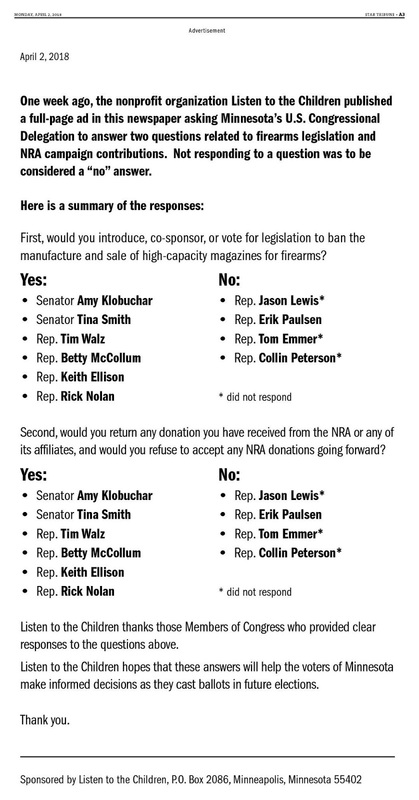 Tim Walz and Tina Smith both essentially said that they don’t think that people should have the right to defend themselves. They also said that they’d reject any contributions from the NRA. 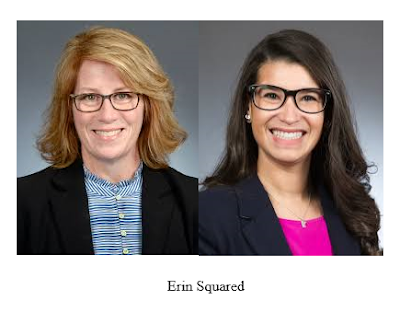 With a significant portion of NRA members being blue collar people living in rural areas, Walz and Smith are essentially turning their backs on rural blue collar voters. I hope rural blue collar voters remember that this November.